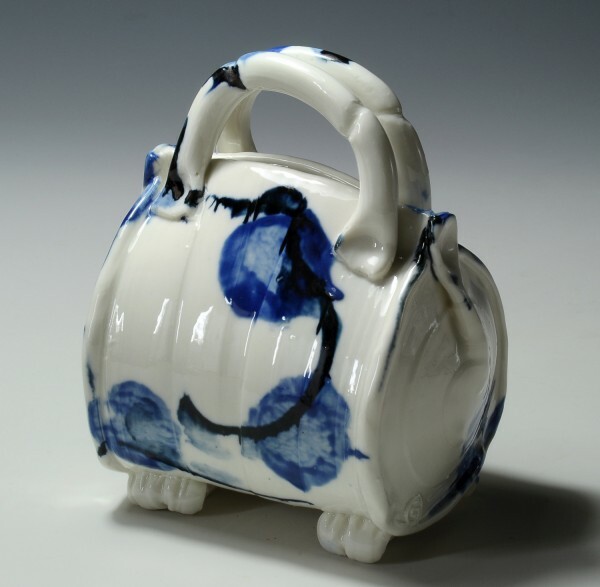 Tineke van Gils is a ceramic artist residing in The Netherlands. 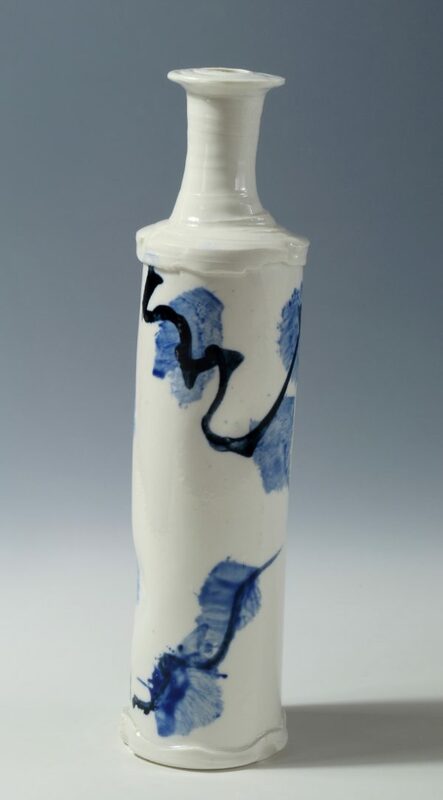 She started her ceramic career in 1984 in Amsterdam and moved to a farm near to Delft in 1995. By developing skills and exploring techniques she became a specialist in combining techniques on the potter’s wheel. 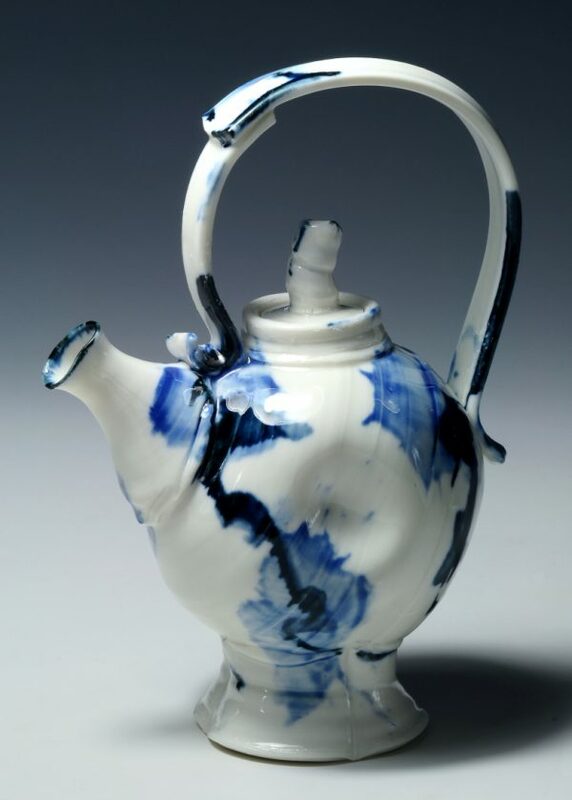 She mastered porcelain and loves the complexity of teapots. 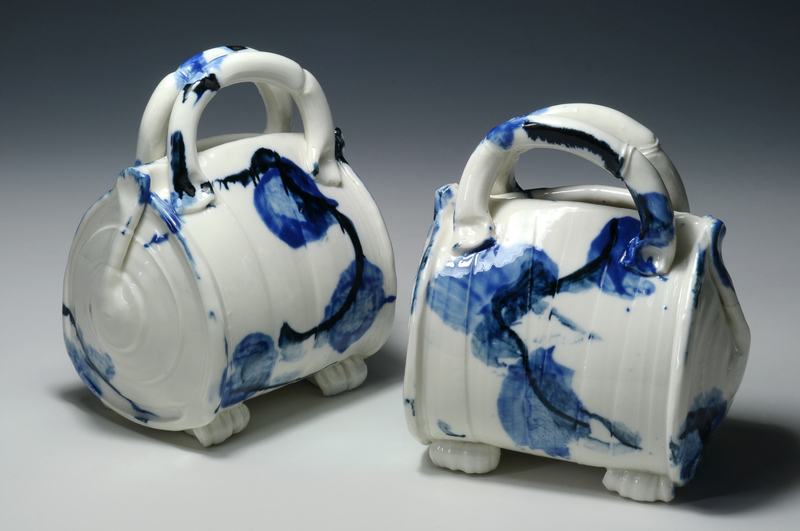 “My teapots are sculptures, free made in a dynamic way, but perfectly in use for pouring tea. 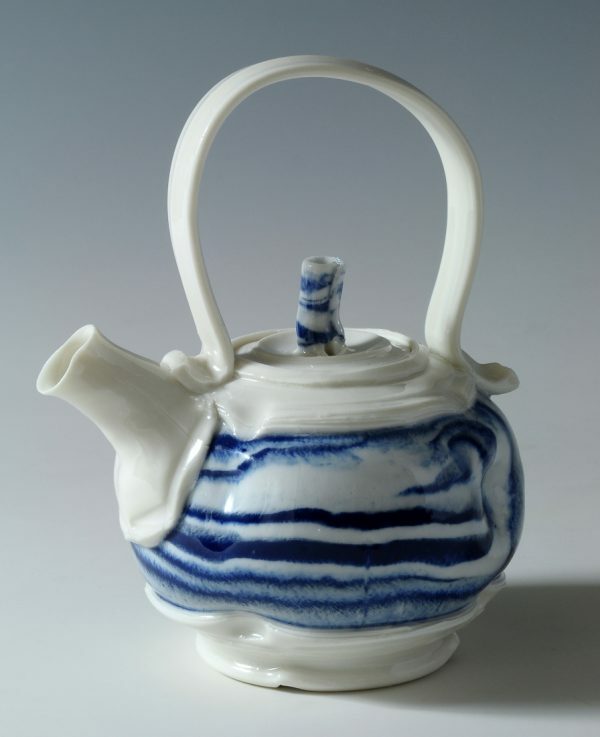 For me the teapot is a lifetime challenge”. 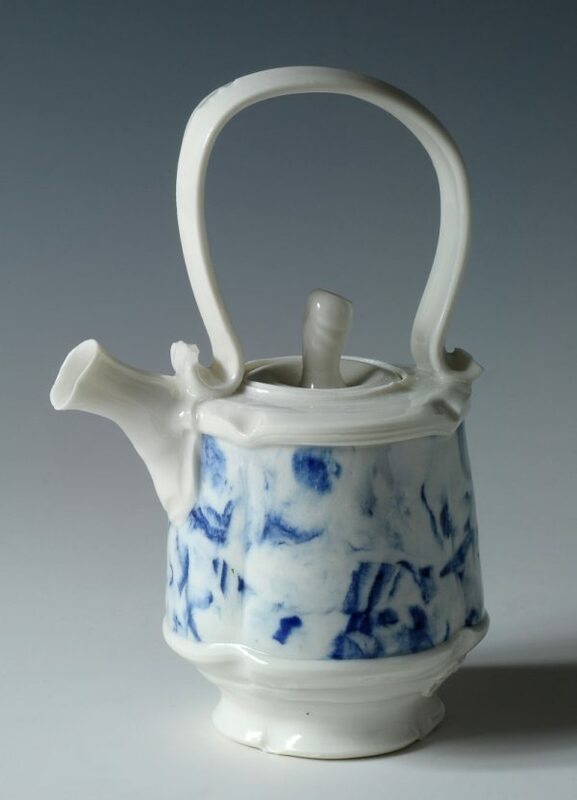 This brought Tineke to China where she was invited by the porcelain capital Dehua to create 100 unique porcelain teapots for a solo-exhibition in Shanghai. 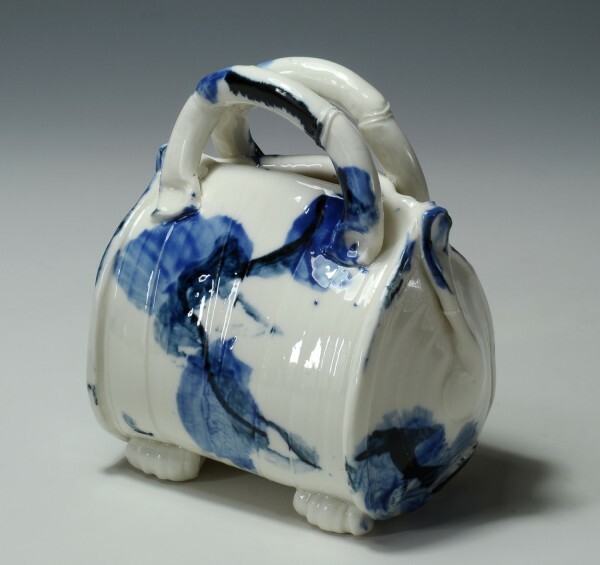 And later she created another series of unique teapots in Jingdezhen at the invitation of the Prinsenhof Museum Delft. “Dancing with clay! 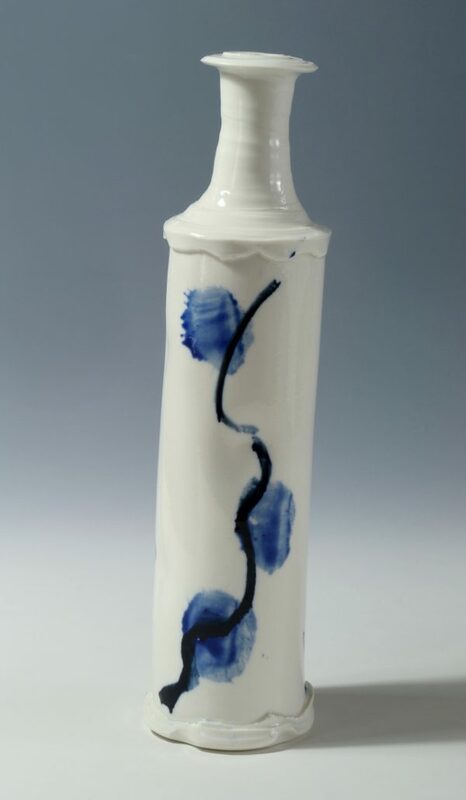 that’s how I act with porcelain on the potter’s wheel. 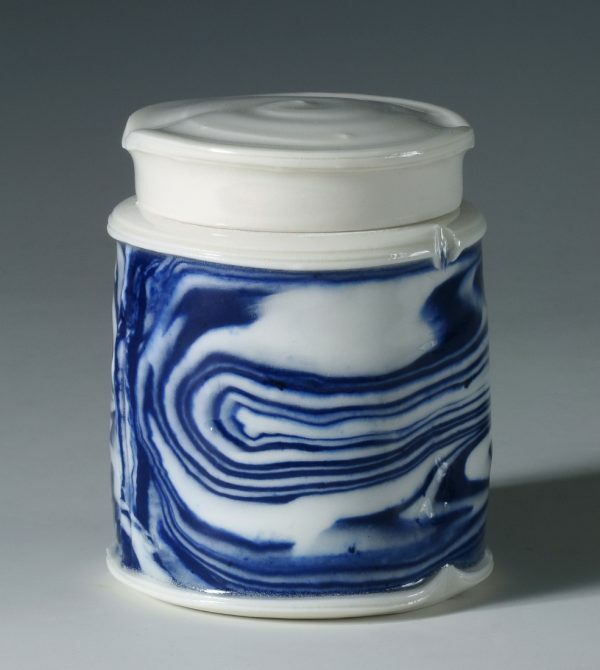 The touch of my fingers and my tools remain visible as traces in the skin of my pots. 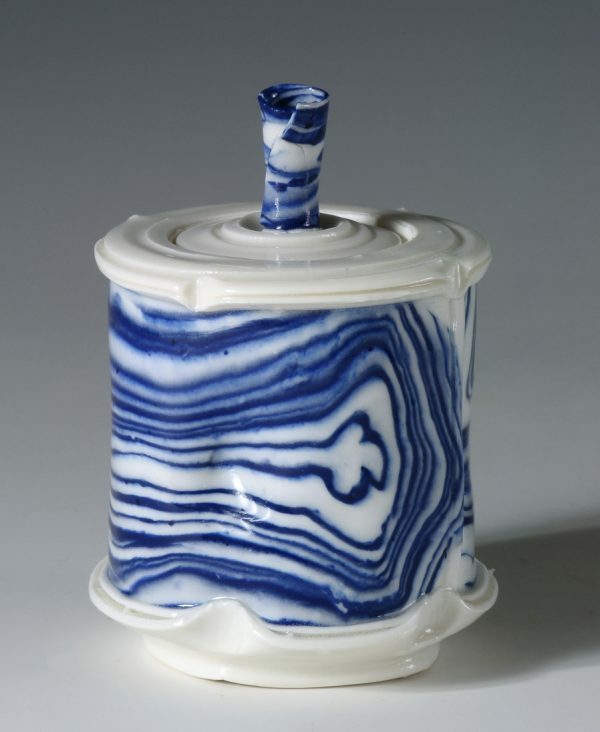 My work is a fusion of traditional skilful craftsmanship and a never ending eager for pioneering on the wheel. Without killing the spontaneity I am always in search for accuracy and directness by simplifying techniques. 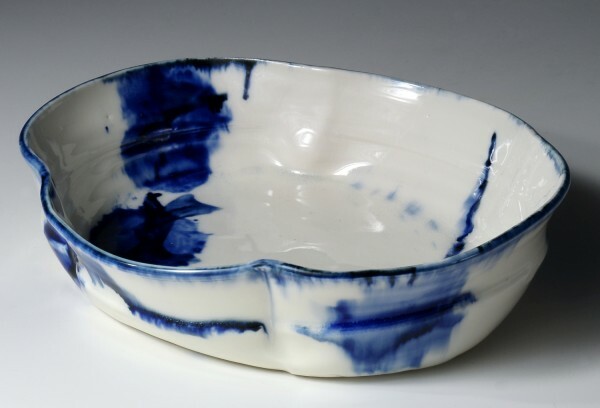 After being fired my pots still have to show plasticity, they have to breath vitality”. 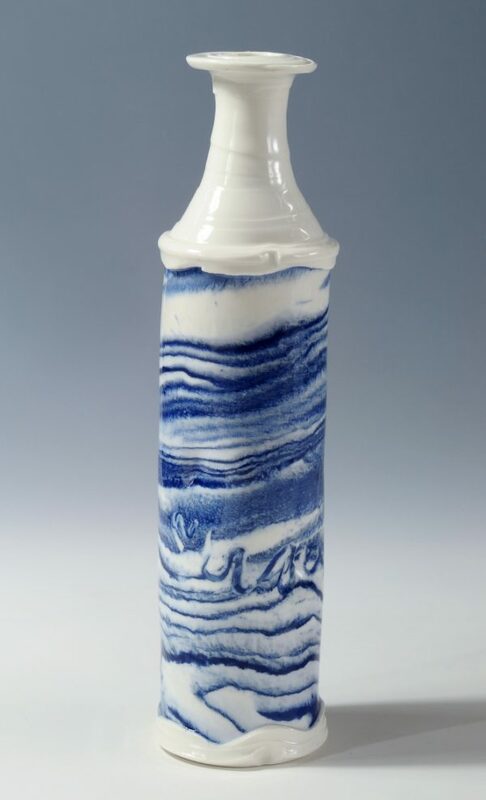 Works of Tineke van Gils are exhibited in The Netherlands and abroad including China, Japan, France, Spain, Germany and also in Kansas City now. At invitation she gives lectures and classes in several countries. 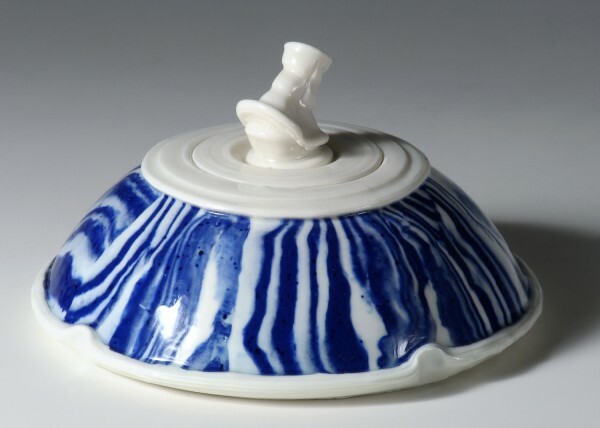 Articles about her work are published in magazines among which: Ceramic Review (UK), Ceramics Art & Perception (AU) and New Ceramics (DE).